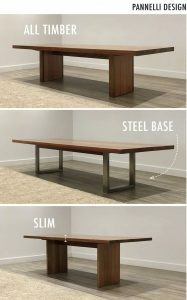 It’s always nice having some reassurance when purchasing designer furniture… Particularly when it comes to dining tables. A piece like this will become one of the most used in the house – so it needs to stand the test of time! And by focusing on every detail from the materials, to the design and manufacturing process, we can achieve the very best results for you. 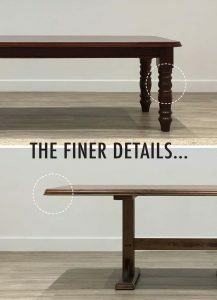 Although it’s not the first thing most people notice, the base of your dining table can become a real feature of the overall design. With an open base, like the trestle (pictured), you can create interest from smooth lines and open spaces. The addition of some modern bench seats also make a great choice for this concept. 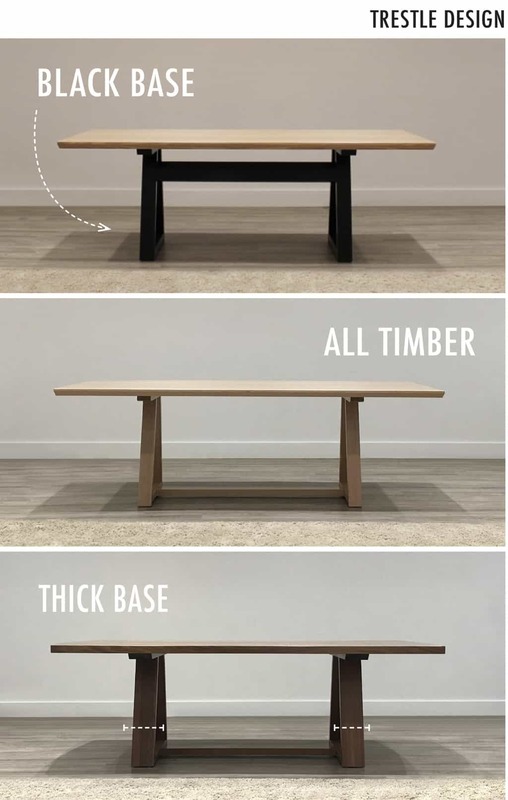 Being crafted with such care, the table itself becomes an art piece, and it also allows your gorgeous timber selection to be admired from a different perspective which adds even more warmth. Of course, our popular Pannelli design is always a winner with most our customers as well. 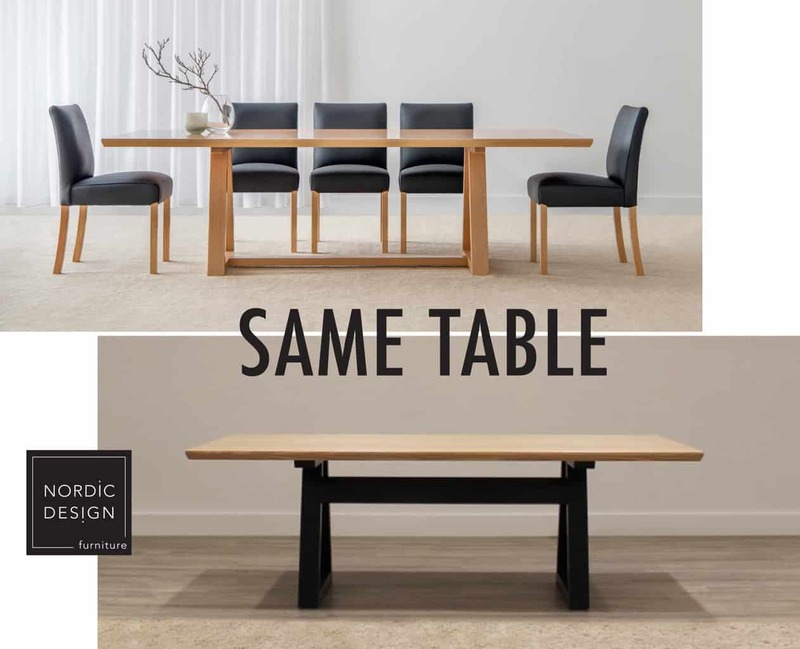 With its seamless base – set further underneath the table top – it’s slightly hidden and has a stunning timber panel which makes a gorgeous feature when admired from either end. 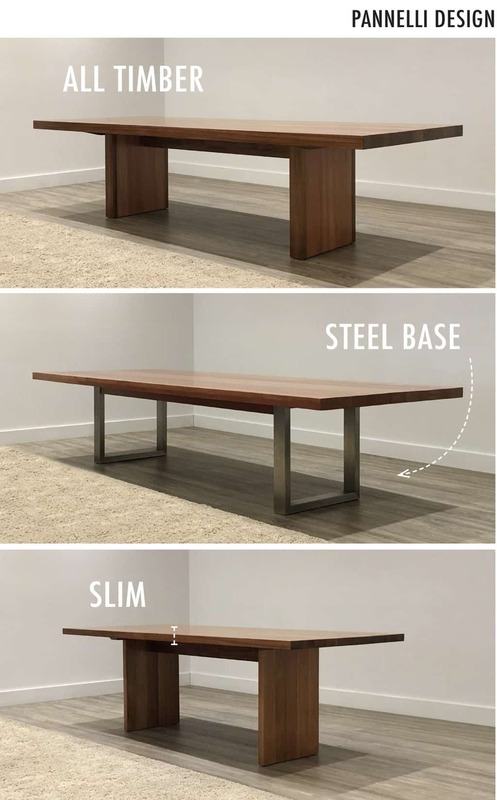 This base is perfect for extra leg room when having larger gatherings as well. 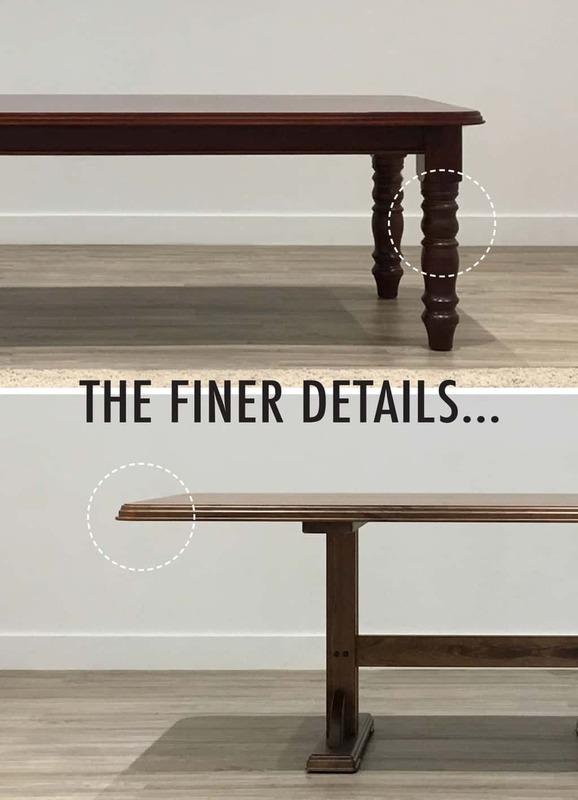 Something intended as a design feature also enhances function, which is a double tick for us! While we are only skimming the surface, our Showroom provides a first hand look at all of your options available. With unique customer pieces visiting our showroom each week, you can come in and see the best variety when sourcing ideas!